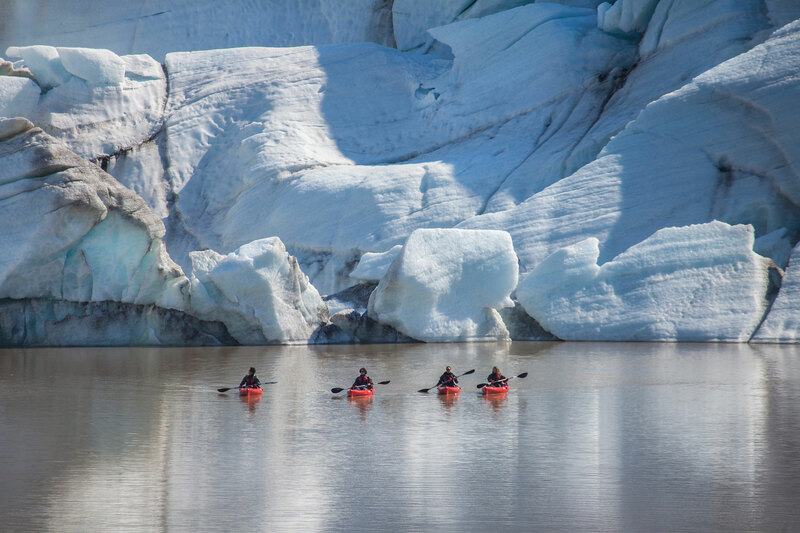 Kayak between the icebergs on Sólheimajökull glacier lagoon, before visiting some of South Iceland’s most well-known waterfalls as well as the infamous DC-3 plane wreck. 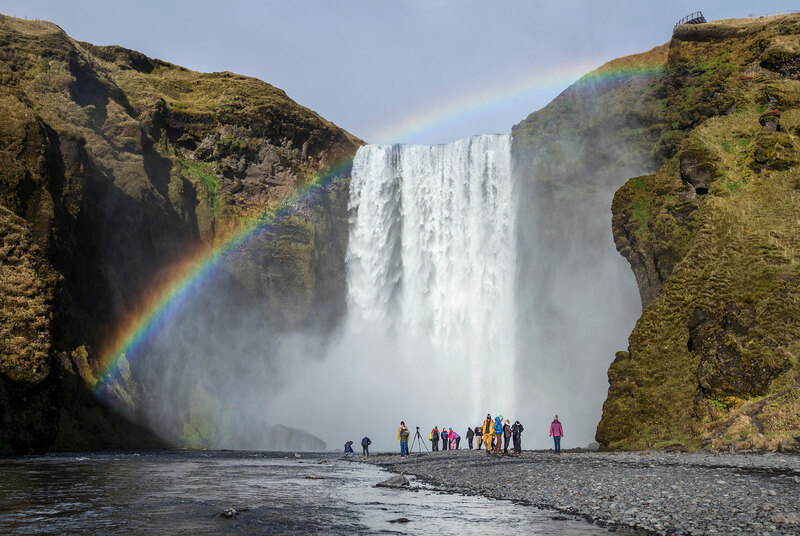 This is the perfect day tour for those who want a more relaxed experience along Iceland’s South Coast, travelling in a small group by minibus. The day begins with a pick-up in Reykjavík. 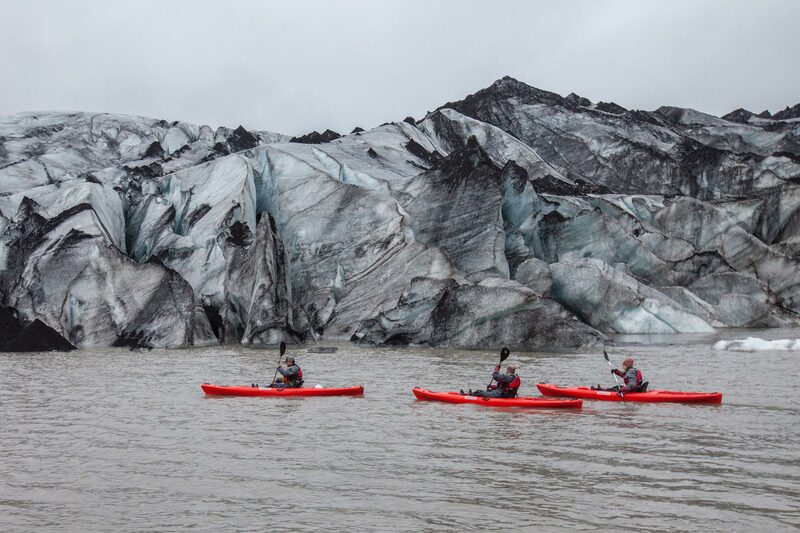 Once the group is gathered, you will be heading South to one of Iceland’s most visited and popular glaciers, Sólheimajökull. 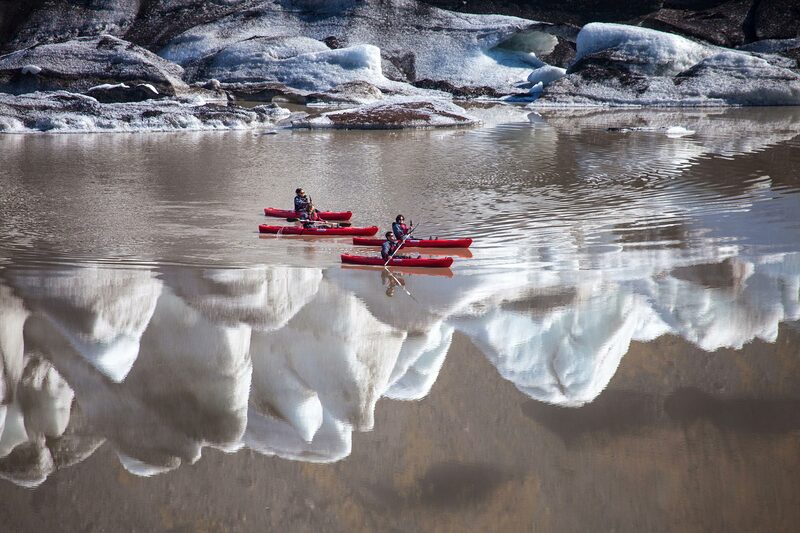 Upon arrival at the glacier base camp, you’ll be introduced to your expert kayaking guide who will provide you with your dry suit and show you how to master the simple technique of manoeuvring your sit-on-top kayak. 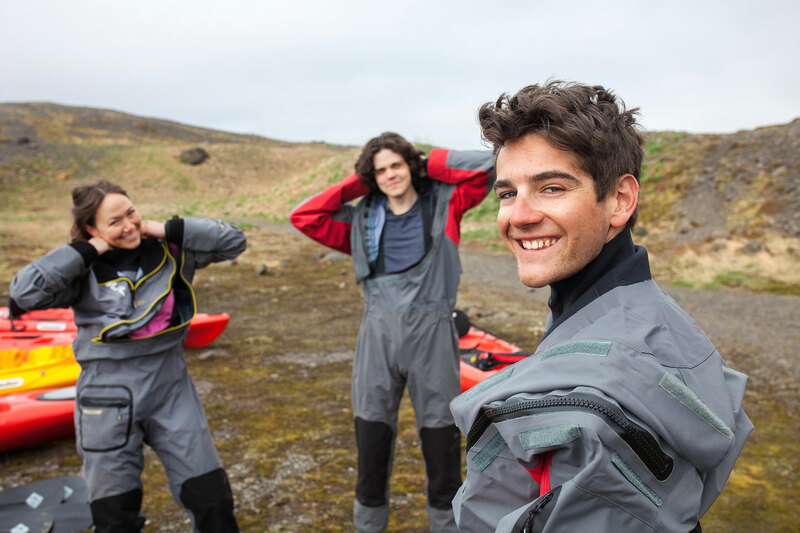 Once ready, the group glides off into the lagoon and you will start exploring the recently formed lagoon. You'll be surrounded by the ever-changing icebergs and you can take in some of the most beautiful scenery South Iceland has to offer. 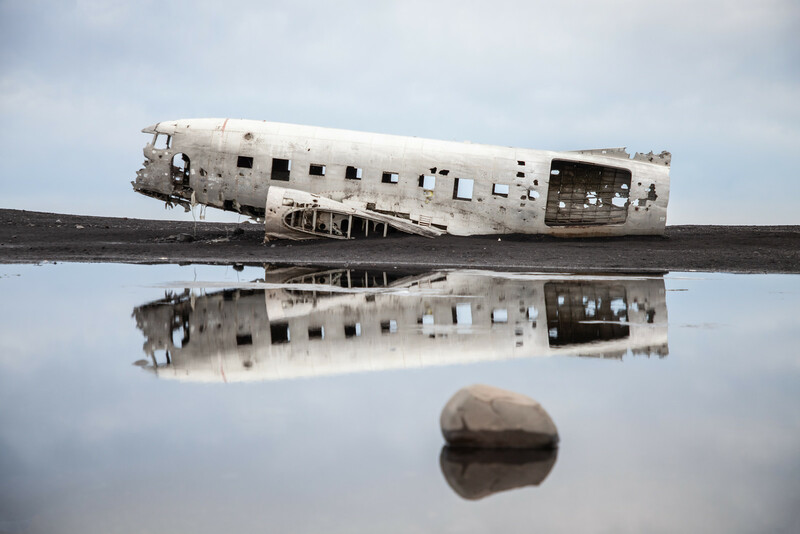 After finding yourself back on dry land, you’ll be taken to visit the famous site of the DC-3 Plane Wreck on one of South Iceland’s black sand beaches, Sólheimasandur. You will leave the tour bus to join a shuttle bus which will drive you straight to the wreckage. You will have the opportunity to photograph and explore the plane wreck which has been there since it was abandoned after it crashed onto the beach back in November 1973. 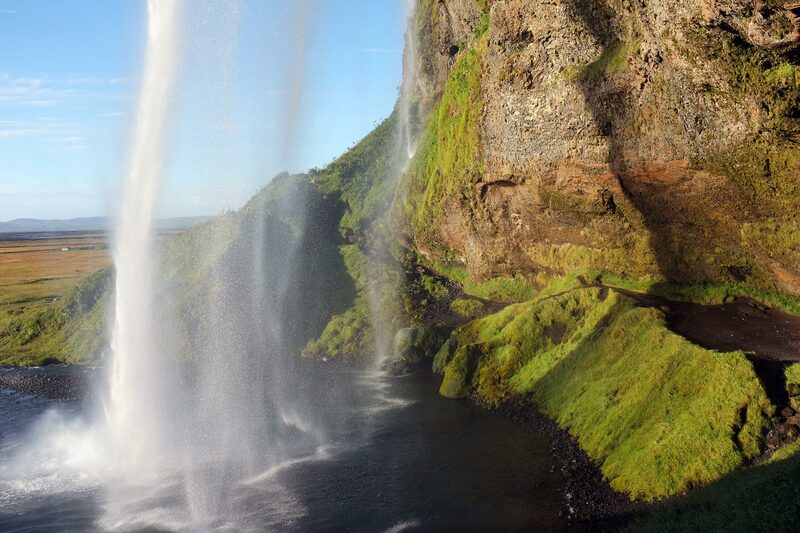 On the return leg of your journey along the South Coast, you will head towards one of Iceland’s picturesque waterfalls, Skógafoss, famous for its beauty and size, standing at 60 metres tall. 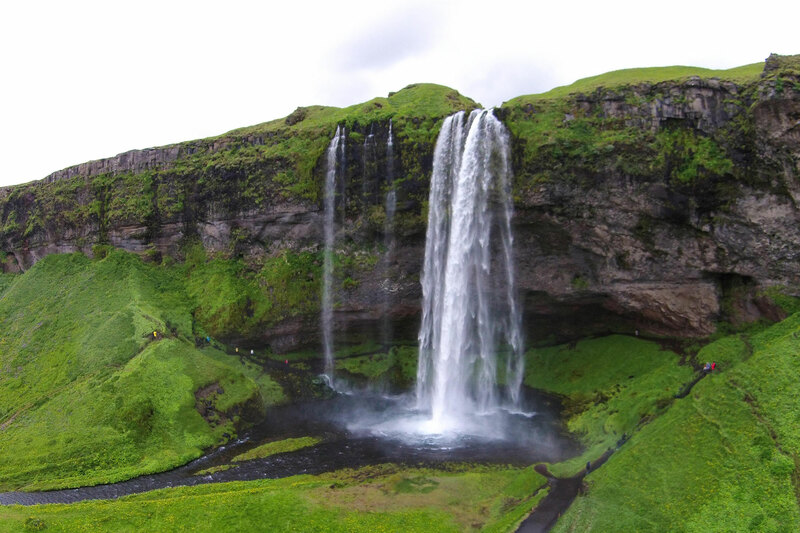 The final stop of the day brings you to Seljalandsfoss waterfall, where it is sometimes possible for visitors to walk behind the cascading water to experience the true beauty of nature in Iceland. You will then return to Reykjavik with some unforgettable memories. 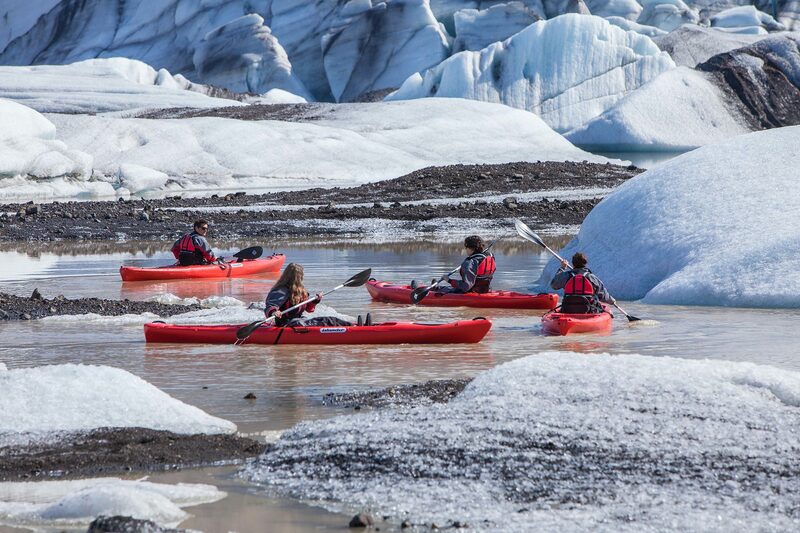 Explore Iceland’s South Coast combined with an amazing kayaking adventure among glacier icebergs. Check availability by choosing a date.